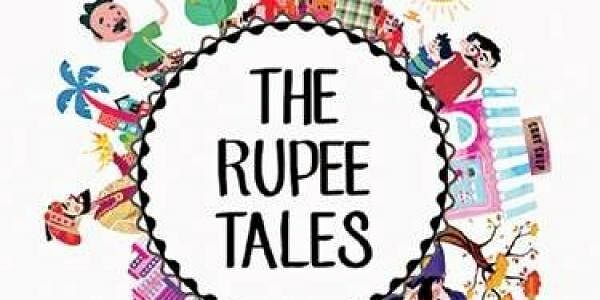 Zerodha, a technology-driven brokerage firm, has launched Rupee Tales: a set of five story books which attempts to familiarise children above seven years to basic financial concepts. HYDERABAD: Zerodha, a technology-driven brokerage firm, has launched Rupee Tales: a set of five story books which attempts to familiarise children above seven years to basic financial concepts. Zerodha has used storytelling with illustrations as medium to convey these concepts. “It is an attempt to creatively inculcate basic financial awareness among children. The concepts covered in Rupee Tales pertain to financial inclusion; pivotal to the cashless and paperless economy India is striving for. A large part of the ‘financial inclusion for all’ dream is dependent on how the younger generation adapts to it,” says Karthik Rangappa, author of the book. Each book deals with a specific topic, peppered with lively characters, and vibrant illustrations. The concepts covered include savings, banking & inflation, taxes, insurance and stock markets. Adds Karthik, “The idea to write Rupee Tales came to me when my seven-year-old daughter kept asking me where I work and what I do. I realised it was not easy to explain what the stock market is. During a casual chat at work, we realised there was no material available to familiarise kids to basic finance. Being India’s leading financial services firm, we somehow felt it was our responsibility to change this, and lo and behold, Rupee Tales was born”. The stories were conceptualised in-house at Zerodha. The set is available on the company website for `470.